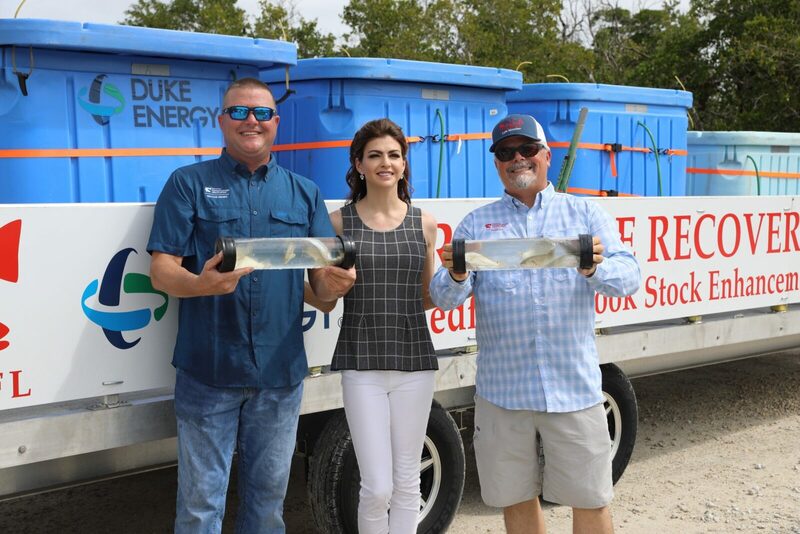 Along with Duke Energy and the Florida Fish and Wildlife Conservation Commission, we began releasing over 16,000 juvenile and adult redfish in February, all hatchery-reared and donated by the Duke Energy Mariculture Center in Crystal River, into southwest county waters hardest hit by red tide. 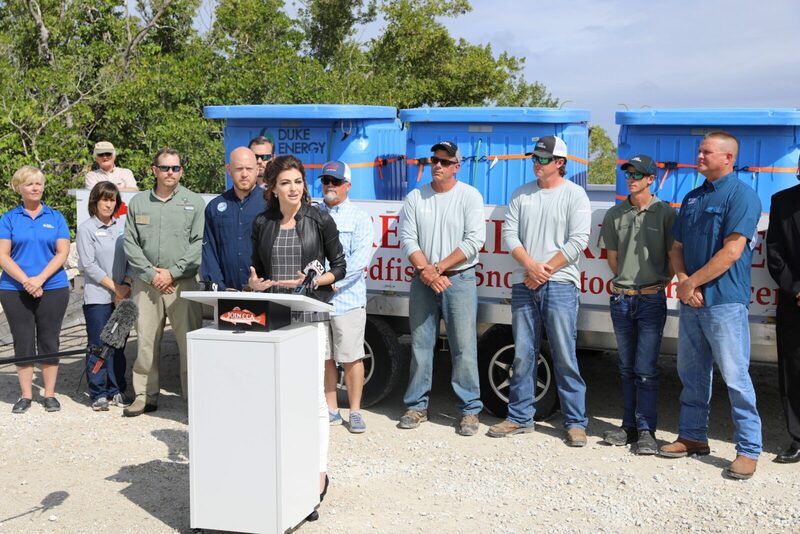 On March 15th, at one of eight county releases, First Lady Casey DeSantis, Secretary Noah Valenstein of the Department of Environmental Protection and State Representative Bob Rommel joined with CCA to release redfish in Collier County. 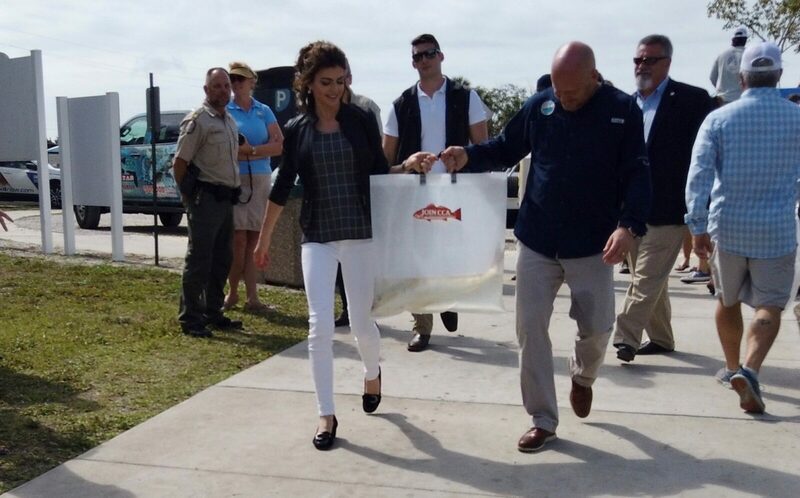 The releases continue into March, with eight stops along the coast where members, families and local dignitaries joined in to support the recovery of the fishery. 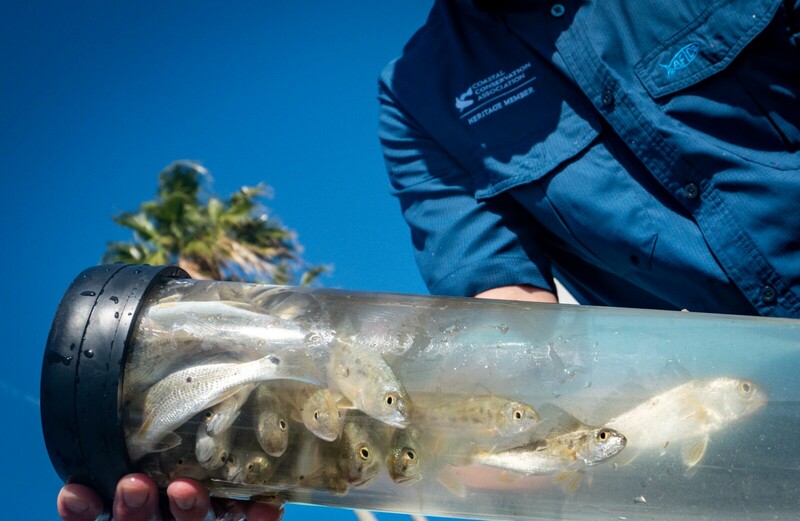 Each of the eight releases included approximately 2,000 juvenile fish and 25 to 30 adult redfish. 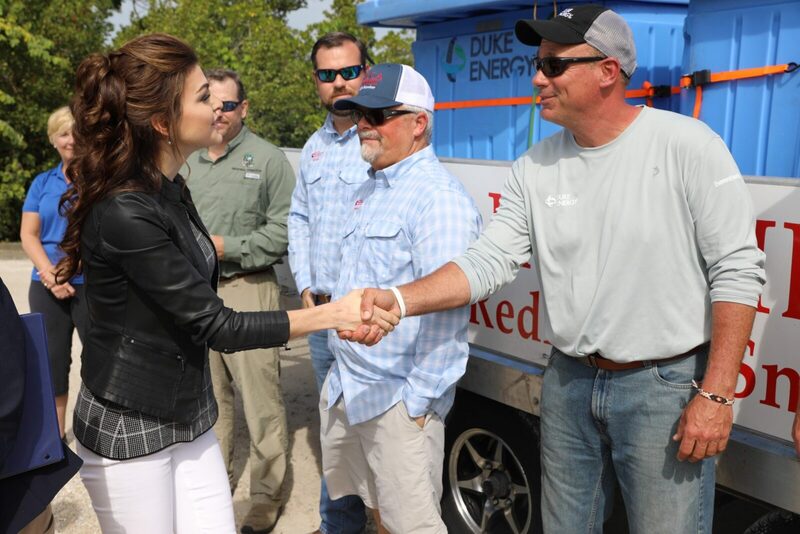 Locations were chosen specifically by the Duke Energy Mariculture Center biologists and releases began when waters were determined safe. Release locations included Brashers Park in Pasco County, Cockroach Bay in Hillsborough County, Ft. De Soto Park in Pinellas County, Turtle Beach in Sarasota County, Robinson Preserve in Manatee County, Tropical Point Park in Lee County, Capri Paddle Park in Collier County and Ponce De Leon Park in Charlotte County (scheduled for March 19th). CCA Florida hopes to conduct similar releases in the future and is constantly working for recreational anglers, fighting for clean water, defending access and supporting fisheries. Anglers can become engaged by joining CCA Florida at JoinCCA.org. Or visit us on our Facebook page.